Planning a ladies trip and don’t know where to go? Let us help you plan a great girl’s day in Missoula. Here are the top 6 activities in Missoula for a Girls’ Day. Grab a cup or two, and settle in with friends to enjoy one of Missoula’s favorite beverages. Enjoy the atmosphere of the local coffee shops, or head over to a local coffee roaster while you catch up with the girls and plan your day. Weather you like your coffee black, flavored or even prefer tea the coffee scene in Missoula has a spot for everyone. Missoula is a relaxing place, so it only makes sense that a spa day is agreat way to forget your troubles on a girls’ day and get everyone in the mood to relax and enjoy. Whether you just go in for a quick manicure or pedicure or find yourself pampered all day Missoula’s spas will surely do the trick to put you in the right state of mind. First off, lets all take a moment to celebrate that Montana has no sales tax. So shopping in Missoula has already made you a smart-shopper. 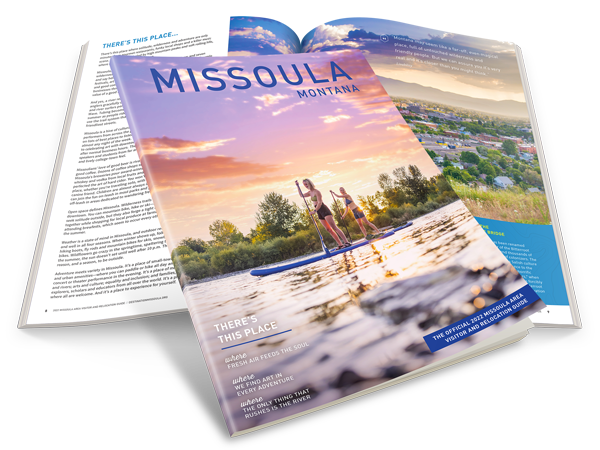 Missoula’s shopping scene is broken up into three key areas, North Reserve Street, Southgate Mall and Downtown. North Reserve Street has all the favorite big box stores; Target, Old Navy, TJ Maxx and many more. Southgate Mall is home to over 100 stores both local shops and national chains. The downtown segment is filled with lots of great local, trendy boutiques. The selection between the three is bound to satisfy any shoppers dream. What better way to spend the after noon than browsing the downtown art galleries? Missoula art galleries are a treasure chest full of a diverse selection of art including Native American and Western artists, acclaimed photographers, painters, sculptors, ceramicists and jewelers. Finally it is time to sit back and relax with a drink after a day full of activities. Pick the local distillery for some hand crafted vodka and gin drinks. Or visit a winery and find out what exactly Missoula has to offer in the fine-wine department. With several distilleries and a few wineries in town, the hardest choice will be choosing which ones to visit.